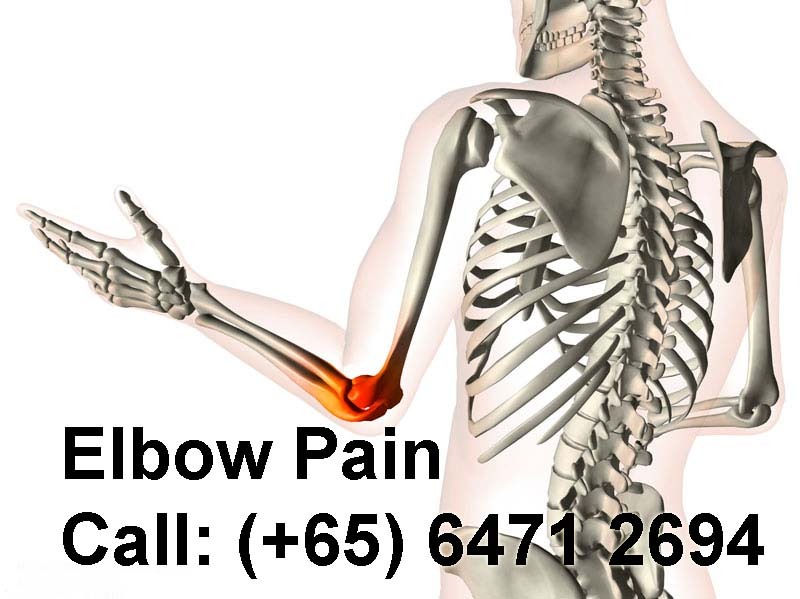 Elbow pain and injuries are common complaints. Many patients come to an orthopaedic surgeon’s office seeking help for a variety of elbow conditions. If you have problems with your elbow, knowing proper treatment can speed your recovery. Elbow pain can be caused by a variety of problems. A common cause in adults is tendinitis, an inflammation and injury to the tendons — soft tissues that attach muscle to bone. People who play racquet sports are most likely to injure the tendons on the outside of the elbow. This condition is commonly called tennis elbow. Golfers are more likely to injure the tendons on the inside of the elbow. Other common causes of elbow tendinitis are gardening, playing baseball, using a screwdriver, or overusing your wrist and arm. Young children commonly develop “nursemaid’s elbow,” usually when someone is pulling on their straightened arm. The bones are stretched apart momentarily and a ligament slips in between, where it becomes trapped when the bones try to snap back into place. Children will usually quietly refuse to use the arm, but often cry out with any attempt to bend or straighten the elbow. This condition is also called an elbow subluxation (a partial dislocation). You have a prolonged case of tendinitis that doesn’t improve with home care. The pain is due to a direct elbow injury. You are unable to use the elbow. You have fever or swelling and redness of your elbow. A child has elbow pain. Common elbow conditions including golfer’s elbow, tennis elbow, olecranon bursitis, and cubital tunnel syndrome. These conditions can cause elbow pain, swelling, and stiffness. Olecranon bursitis is a common cause of swelling and inflammation around the elbow joint. Usually treated by draining the swollen bursa, it is important that olecranon bursitis be evaluated by a physicain. Medial epicondylitis is sometimes referred to as Golfer’s Elbow, not because only golfers get the problem, but because the golf swing is a common activity that can cause the problem. Cubital tunnel syndrome is a condition that affects the ulnar nerve where it crosses the elbow. This problem is very similar to carpal tunnel syndrome, except that a different nerve is compressed causing slightly different symptoms. Radial tunnel syndrome is a condition that can cause aching in the forearm just below the elbow. When the biceps tendon ruptures at its distal insertion, near the elbow joint, patients often complain of lack of strength. Usually this condition requires surgery for treatment. An olecranon fracture is an injury to the prominent bone of the elbow joint. When a patient sustains a broken olecranon, surgery may be necessary to restore the alignment of the broken bones. A Monteggia fracture is a variant of an ulna fracture of the forearm. In addition to the fracture of the ulna, these patients also have a dislocation of the radial head within the elbow joint. Treatment of a Monteggia fracture is with surgery to repair the ulna fracture. Thanks for taking the time to write about this, I feel powerfully about it and love learning more on this issue. If possible, as you gain expertise, would you mind updating your blog with more selective information? It is highly helpful for me.